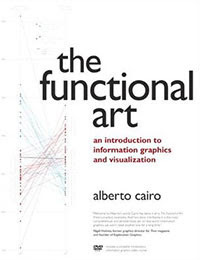 The Functional Art: An Introduction to Information Graphics and Visualization: My new infographics motto: "It's more complicated than that"
My new infographics motto: "It's more complicated than that"
Seriously. I'm planning to use that motto as a title for future presentations. Ezra Klein's new online venture, Vox, has just published a series of graphs titled These 15 charts show our health care prices are totally insane. As someone who was born in Spain and enjoyed public health care for 30 years, I can assure you, dear U.S. citizens, that this is accurate. Vox got it right. However, Vox's challenge is that they don't need to persuade me. I've reviewed the evidence and found it compelling. I've been reading this in the past few days, for instance. Health care prices in this country are insane, indeed. 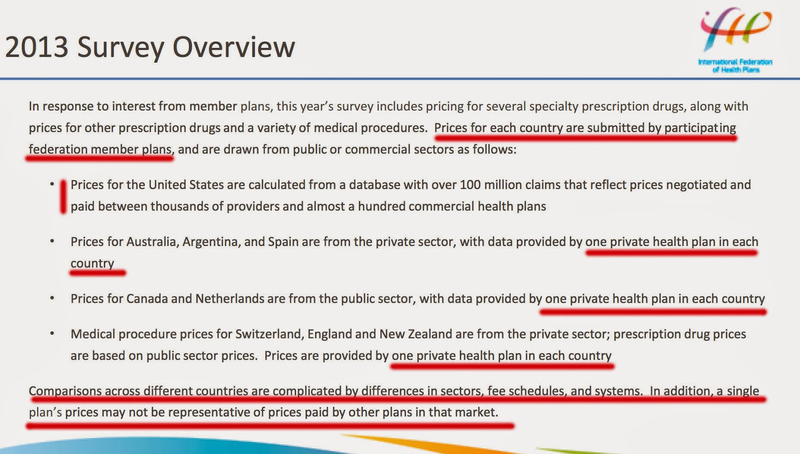 We're comparing averages from a huge U.S. dataset to one private plan from each country. One. In what way is this a fair comparison, exactly? Do we want to send random sampling or proper aggregation down the drain? And I think that I don't need to mention the crucial disclaimer in the last sentence, do I? 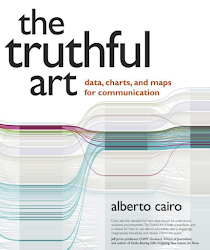 Next, the graphs. Notice that Vox's source shows not just averages, but the 95th and the 25th percentiles, at least in the U.S., which is OK. It reveals that there's a lot of variation (side note: I'd love to see some histograms.) For obvious reasons, they cannot do the same with other countries. After all, they're using just one plan to represent each of them! 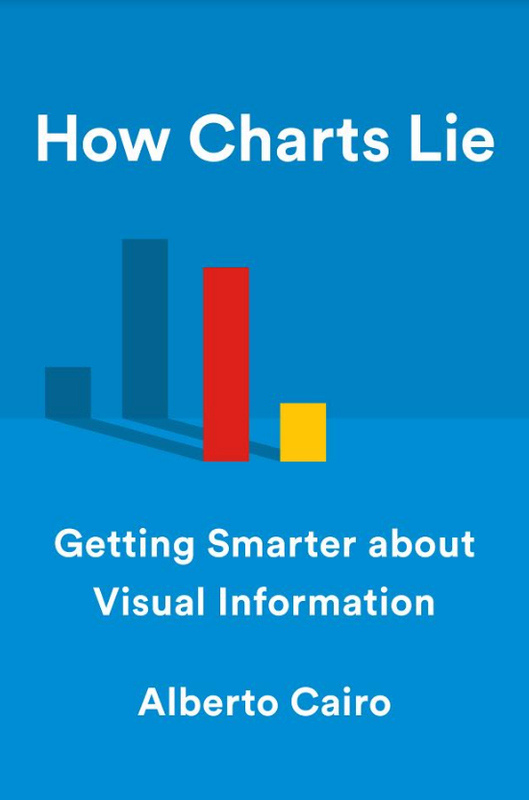 Finally, and without getting down to the nitty-gritty, take a look at one or two of Vox's charts. Maybe I'm missing something, but what I see is simply a gross comparison of prices. 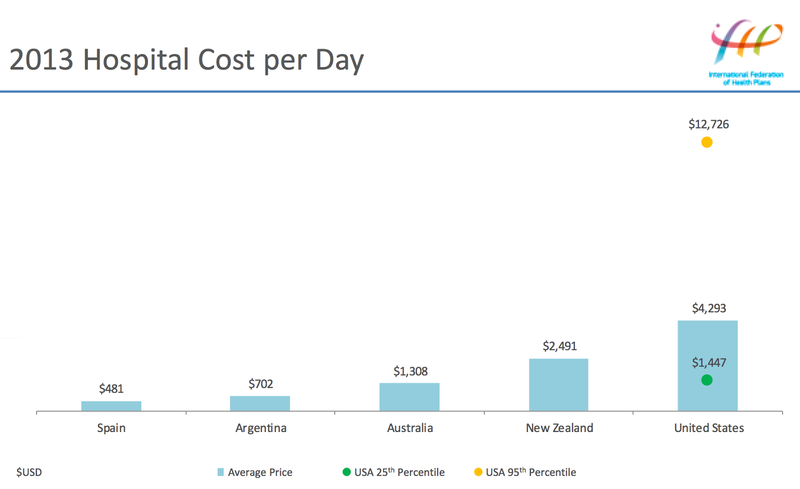 What about if we adjust those prices by GDP per capita and we show them as percentages of it? 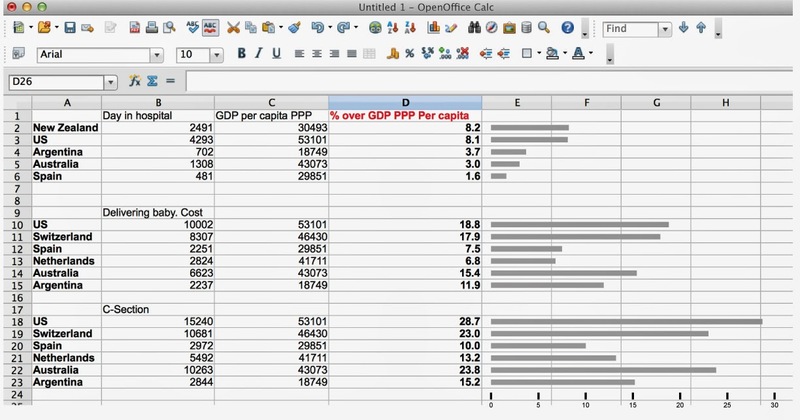 Here you have the results, quickly calculated in Open Office. Compare my bar graphs to the ones designed by Vox and its source. Yes, the U.S. health care system is very expensive, but differences don't look that striking now, do they? See New Zealand at the top, for instance. So, some recommendations if you are a designer, a journalist, or an average Jane or Joe, for that matter: First, never take sources' figures at face value. 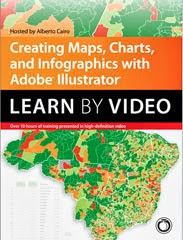 Second, never begin with an idea for your headline and then look just for data and graphics to support it. Third, remember that stories are always much more complicated than what you have in mind at first. You need to respect nuances, details, complexity, and show them to your readers if you want to persuade them.